In May 2011 the Exame Magazine published an article after a study of the Informa D&B (Dun & Bradstreet) consulting company which recognizes Wide Scope as one of the Top10 most growing companies in Portugal. 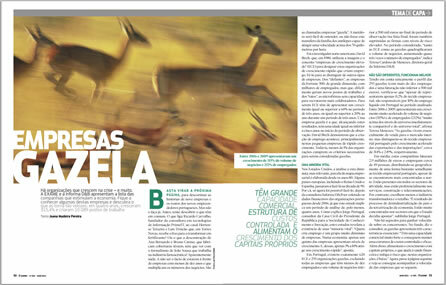 Wide Scope has been recognized as a Gazelle company with an accumulated growth of 2856% between 2006 and 2009. The study can be consulted in www.informadb.pt/empresasaltocrescimento.